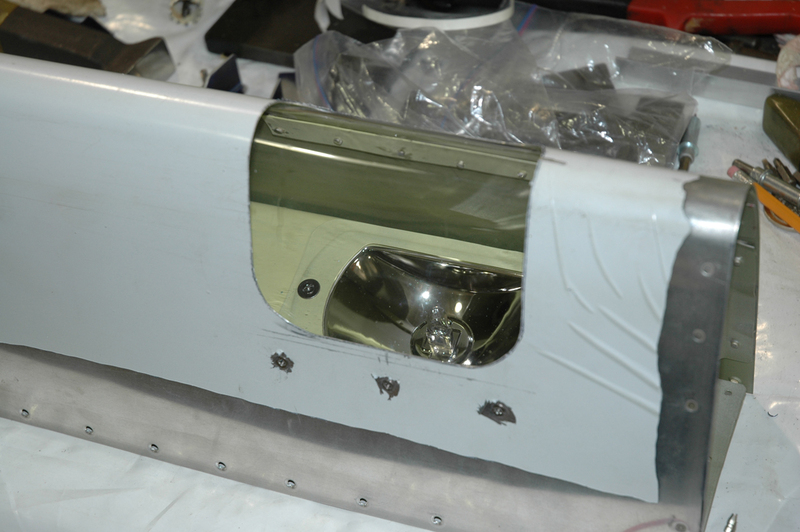 The aluminum wing of the Sportsman (and Glastar) has been begging for a Duckworks light for a long time - now we have some. There were some challenges due to the small area in the leading edge, but thanks to the inputs of several builders we were able to finalize on a great solution. Installation is straight forward and results in a great looking, lightweight, adjustable Landing Light, with great flexibility in available lamps. We have another new low power draw, very high output LED Lamp, while our base installation comes with a 55W Halogen lamp - upgradeable to 100W Halogen, 50W HID. Duckworks currently offers ONE Light Emitting Diode (LED) Kit for the Sportsman airfoil/wing. The benefits to the LEDs are very bright light output, amazingly low power draw, and very long life. Note - Phillips has developed a 55w replacement bulb (CrystalVision(TM)) that has a whiter/brighter output at the same power draw. This bulb is available from Duckworks for $19 (see the Upgrades page). To order Kits, Lights, or Upgrades by mail, go to the Sportsman Order Forms on our Ordering Info page. 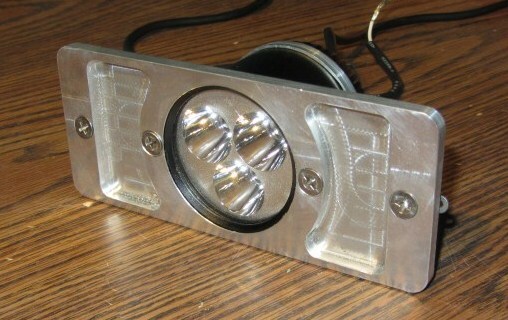 The new HID lamps fit directly in your existing Halogen reflectors, for very easy upgrade (for more information, go to the Upgrades page and click LC HID Lights).